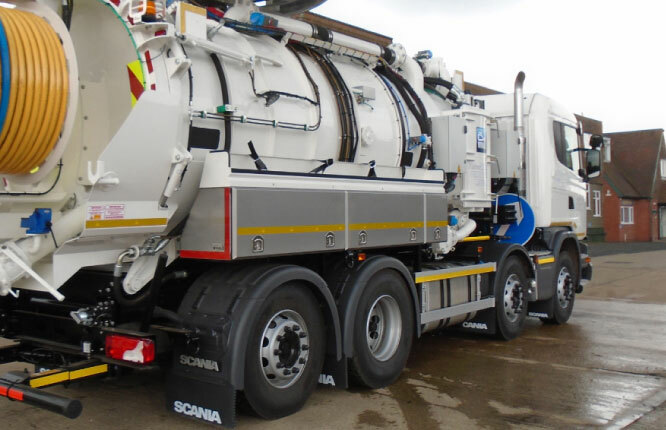 Whale Tankers Ltd is the UK’s leading manufacturer of vacuum tanks and associated cleaning equipment, distributed throughout the world from its base in Solihull. These tanks are used for the collection and transportation of waste materials and are maintained using Whale Tankers own cleaning equipment. Operating for more than 40 years, Whale Tankers has grown and developed into a leading authority in its field due to its enthusiastic outlook. By investing in its products as well as its people, Whale Tankers has been able to create an enviable team, capable of producing a wide range of tank machines, driven by the requirements of its customers. As an ISO 14001 company, Whale Tankers consciously strives to improve its services and resource efficiency. Employees are at the top of its list of valuable assets, so Whale Tankers ensures that all possible measures are in place to keep its workers safe, happy and productive. With this in mind, each employee is provided with their own set of safety workwear, consisting of a minimum of 3 garments, with some wearers needing 4 or 5 items to suit their role. A new requirement for Hi Viz clothing, as well as supplier issues, meant that Whale Tankers needed to seek a reliable workwear and laundry service provider to ensure the constant provision of a wide range suitable safety wear for workers. phs Besafe was able to supply a variety of regularly maintained high visibility clothing to help ensure the safety of workers and meet Whale Tanker’s Health & Safety requirements. The full service contract supplies, launders and repairs all workwear for 159 employees with weekly collection and delivery. Garments supplied include Bright Gear, which conforms to the GORT 3279 standard; anti-static flame retardant Flame Gear that provides Class 2 welding protection; Arc Gear offering optimum anti-static protection for those working in areas at risk of an arc flash; and standard boiler suits, jackets and trousers. All of the workwear has a heat-sealed Whale Tankers logo on the back and name badge on the front. Prior to distribution of the garments, workers were measured to ensure adequate fit for comfortable daily use. PHS Besafe’s fully managed locker service located within changing areas at 7 different on-site departments. At each different location, soiled workwear can be securely deposited into a bulk collection locker and clean garments can be collected from the worker’s own personal secure locker. When items are removed for laundering, they are also checked for repairs which are carried out by PHS Besafe before the garments are returned to Whale Tankers within 7 days. phs Besafe also provides an additional service for Whale Tankers’ subcontractors on an ad hoc basis whereby garments that aren’t on contract can also be laundered. Workers at Whale Tankers are being issued with correctly fitting, comfortable protective clothes, maintained to a functional standard so that they can concentrate on their jobs, not their clothing. Where appropriate, all garments adhere to Health & Safety regulations, in line with Whale Tankers’ employee policies. The managed locker service provides each employee with a personal, secure space to store and pick up clean garments, while the bulk collection lockers permit convenient deposit of soiled items, making it easy for workers to collect kit or return items for cleaning at any time. Barcodes attached to each clothing item mean that every garment is easily identified and can be traced back to the relevant employee, ensuring that every set of workwear is always in the right place, ready for use when needed. A regular driver is able to provide a consistent service, gaining familiarity with the site and staff. Routine inspection of every garment at the PHS Besafe laundry means that repairs can be undertaken as and when necessary, so items are never returned in an unusable condition. For added re-assurance, stock levels at PHS Besafe mean that if a garment becomes damaged beyond repair, replacements are usually readily available so no worker is ever without the correct attire and downtime is minimised. phs Besafe’s laundry uses environmentally friendly, organic compounds, which may assist with customer CSR policies. Garments are odour and irritant free, and colours won’t leach or fade protecting logos and reflective properties throughout numerous wash and wear cycles. “PHS Besafe has made a big difference to the provision of our employee’s workwear compared to our previous supplier. Garments are back on time and any issues are dealt with swiftly and professionally by the Besafe team. Kim Shevket, Parts Co-ordinator at Whale Tankers Ltd.